Colleen Gallagher is the CEO of Colleen Gallagher International. She is a cancer-survivor, businesswoman, coach, consultant, speaker, author, world-traveler, millennial and specialist in evolutionary transformation. Colleen is extremely passionate about empowering leaders to use their desire to make an impact in the world to drive their income results. Her vision is to transform leaders and shift culture by passionately empowering individuals, companies and leaders to improve connectivity and ... See More move into lifestyle careers. 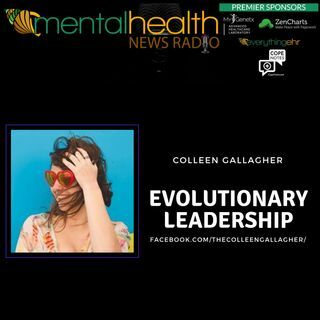 Colleen believes individuals deserve to live a life with complete freedom on their terms, so she has devoted her life to creating tools that empower individuals to step into the Evolutionary Leader that exist within them. Colleen is here to serve the epic leaders who are here to do massive things in the world. Colleen works with the top leaders from just staring their transformational journey all the way to executive CEO clients. If you are already a successful human you are NOW wanting to create a larger impact in order to create a bigger legacy. You are someone who is willing, ready and wanting to evolve your mindset so you can transform the world. You are the human who deep down knows you are here to lift the vibration of the planet. However, right now you feel stuck, unsure the next steps to take, you feel a bit overwhelmed with all the chaos going on in your life and you just desire to make a massive impact. However, you know you are at place where you get to upgrade your environment and surroundings so you evolve and be the next level of success you desire to have. Colleen has multiple resources to empower you on this process. Colleen has a global-mindset and dives deep with you to release subconscious blocks that could be limiting you from making a larger impact and income in the world. She believes that each person is here to use their gifts to transform the world in whatever way that feels good to each individual. Colleen has an intensive background in business with a Bachelor of Arts in Marketing, experience with a $23 billion company, $400 million company and building her online business up while she was traveling the world.